This is what’s going to date. 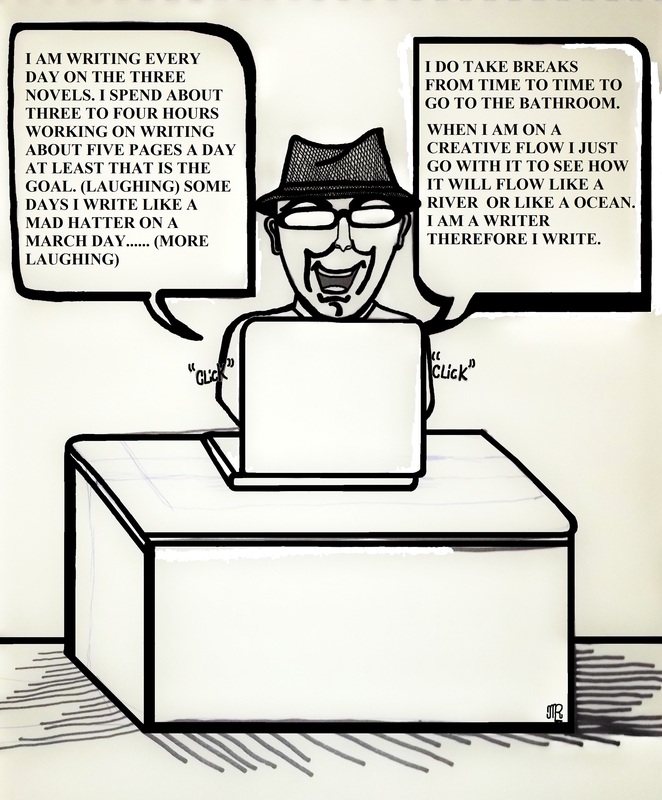 I am going to post cartoons of me (The Writer) as I write my novels. 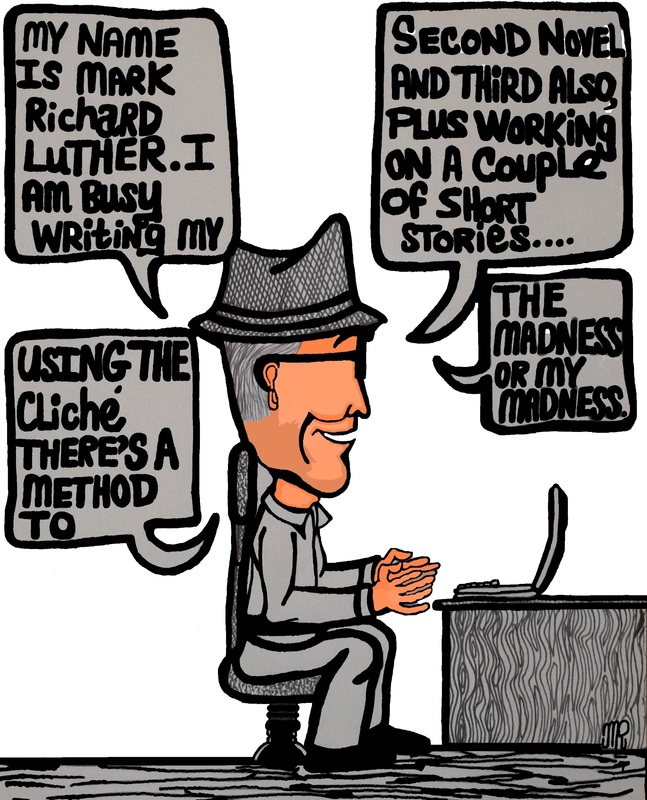 I am a cartoon version of Mark Richard Luther, the author of The Indian Ridge Stories. It’s available as an eBook at the Kindle Store, a Nook Book at http://www. barnesandnoble.com, at http://www.Overdrive.com and a paperback version at Amazon.com. I had my first writer’s radio interview at http://www.artistfirst.com. 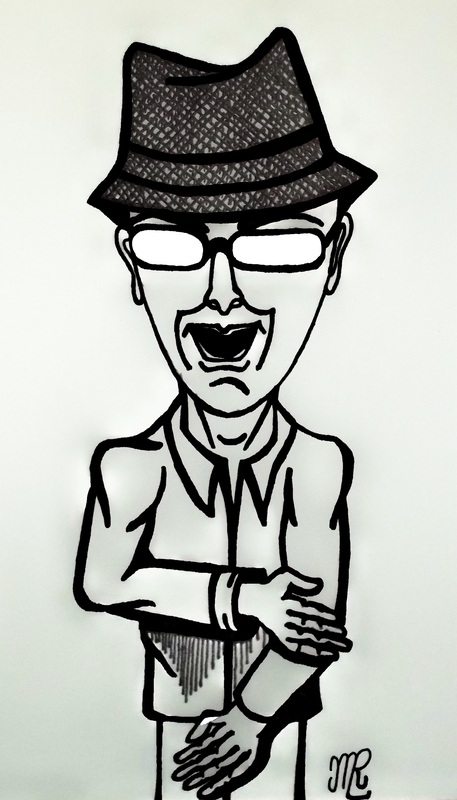 I drew a caricature of myself. I drew the caricature freehand first and finished it in Microsoft paint. I made myself a cartoon character a sought of caricature. While working on my second novel as I am writing, a storyline for a third novel came into my thoughts. I could write another novel as I am writing the second novel. My creativity is becoming like the fourth of July as fireworks go off in my head, with writing it’s either feast or famine. I will go with the flow of creative streaming that’s running through my head. The writing continues on my second novel “Blood Moon” (this is a working title) During the writing process I might change the title, it could depend on what mood I am in (Laughing) Last night I finished the rough sketch of the novel’s book cover and after that I wrote in long hand five pages, today I typed those pages on my laptop. The work continues……..